The original Bullhead City Airport, as depicted on the September 1950 Los Angeles Sectional Chart. as it was not yet depicted on the February 1948 Los Angeles Sectional Chart. 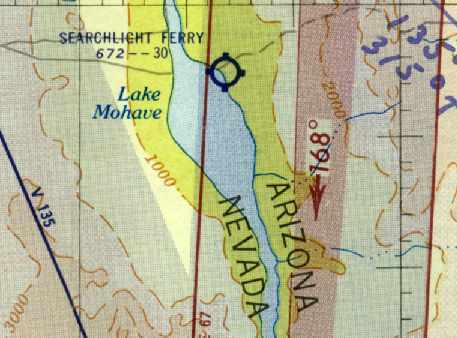 The earliest depiction which has been located of Bullhead City Airport was on the September 1950 Los Angeles Sectional Chart. It depicted Bullhead City Airport as having a 3,000' unpaved runway. 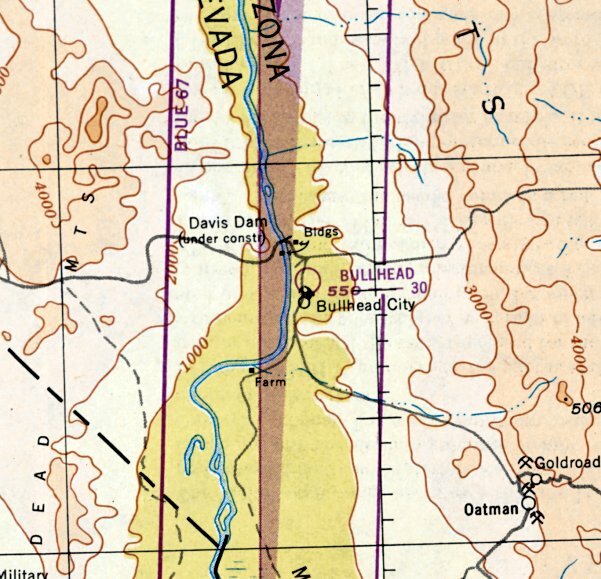 The 1952 USGS topo map depicted the original Bullhead City Airport as a north/south runway, labeled generically as “Air Strip”. 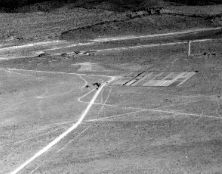 The earliest photo which has been located of the original Bullhead City Airport was a 4/1/54 USGS aerial view. 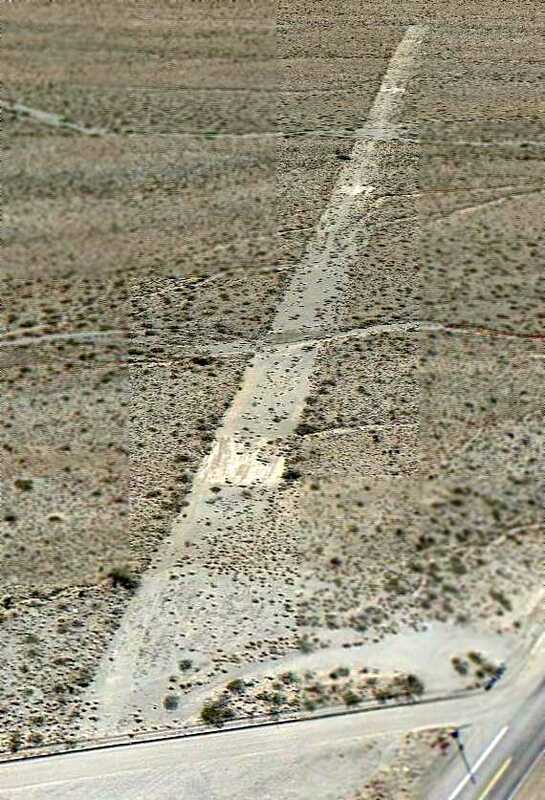 It depicted Bullhead City Airport as a single north/south unpaved runway, without any buildings. 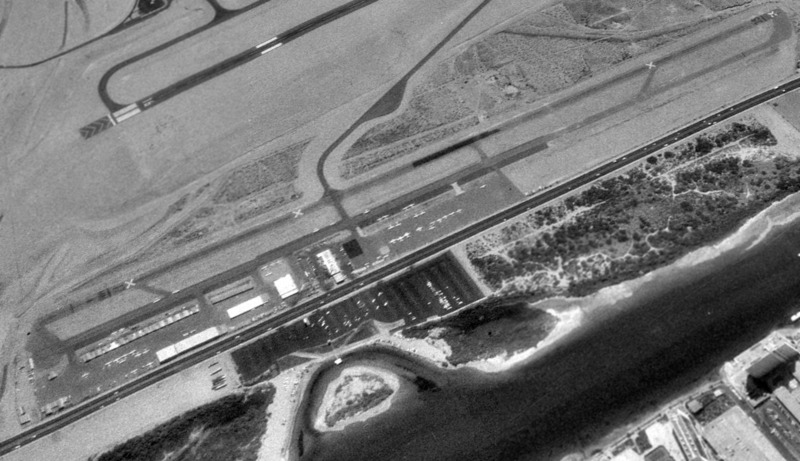 A 5/2/64 USGS aerial view depicted Bullhead City Airport as a single north/south runway, with a ramp with several small aircraft on the east side. 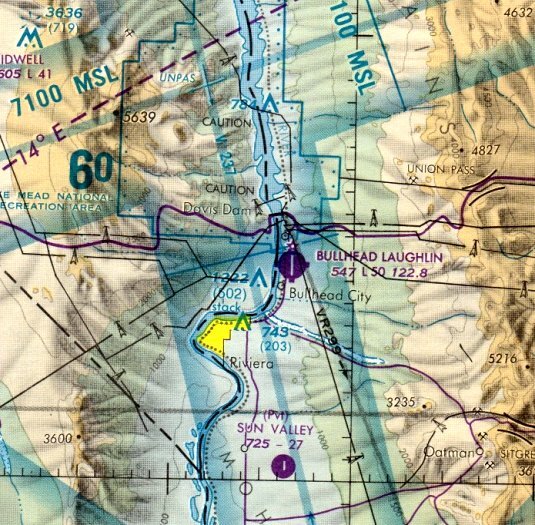 Bullhead City Airport evidently gained a paved runway by 1970, as the 1970 USGS topo map depicted it has having a north/south paved runway, with a paved ramp on the west side. The last depiction which has been located of the original Bullhead City Airport was on the November 1985 Los Angeles Sectional Chart. It depicted Bullhead City Airport as having a 5,000' paved north/south runway. 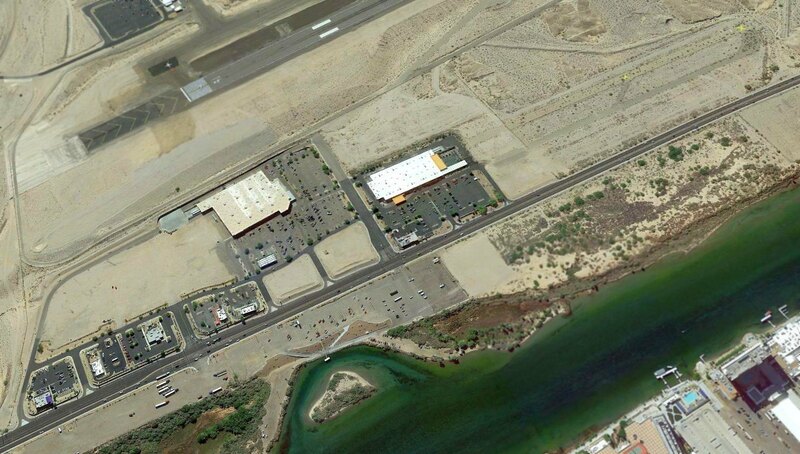 A 1990 aerial photo showed that construction had started on a replacement Bullhead City Airport, a half-mile to the east, with a much longer runway. and a taxiway led toward the runway of the new Bullhead City Airport to the east, visible in the background. and a Home Depot built over the center of the former airport. but the southern portion of its runway & paralle taxiway was still visible, complete with 2 yellow closed-runway “X” symbols. The site of the original Bullhead City Airport is located east of the intersection of Mojave Valley Parkway & Airport Center Drive. Thanks to Kim Taylor for pointing out this airfield. A 2/22/19 photo of an Army De Havilland DH-4 refueling at Wallapai Field (courtesy of Mohave Museum of History & Arts, used by permission, via Curtis Carroll). 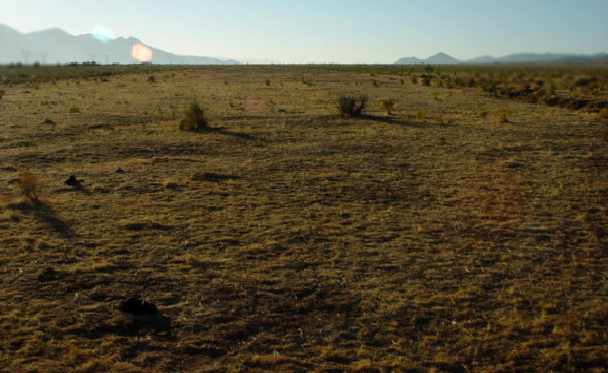 Curtis Carroll reported, “Wallapai Field, occasionally spelled Hualapai Field, was the earliest landing field established in northwest Arizona. 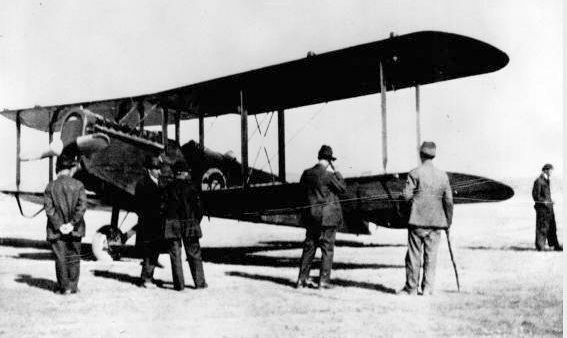 The first mention of the field in the local newspaper (Mohave County Miner) was December, 1918.
was a 2/22/19 photo of an Army De Havilland DH-4 being refueled at Wallapai Field (courtesy of Mohave Museum of History & Arts, used by permission, via Curtis Carroll). and made a stop in Kingman to refuel & fly over the Grand Canyon. (courtesy of Mohave Museum of History & Arts, used by permission, via Curtis Carroll). and the National Old Trails Highway (what would eventually be Route 66) & the Santa Fe Railroad traversed the landscape in the upper third of the frame. A 10/19/28 photo of a Sikorsky S38-10 amphibian on its delivery flight, refueling at Wallapai Field (courtesy of Curtis Carroll). Piloted by famed aviator Art Goebel, this unusual plane, nicknamed “Flying Fish”, would eventually carry passengers from Mines Field & Long Beach Harbor to & from Santa Catalina Island. Its sudden appearance caused quite a stir among the townspeople. The Hualapai Mountains are visible below the left wing. 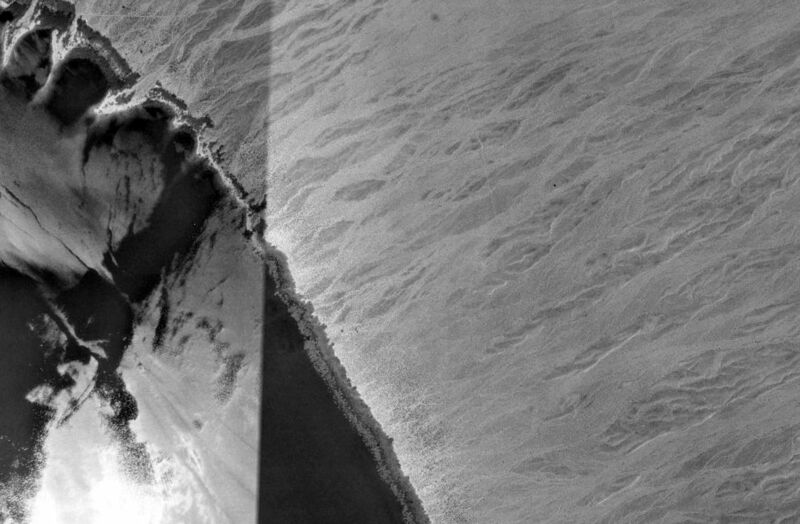 It shows the southern tip of the Cerbat Mountains. Lindbergh's visit was laying the groundwork for a new airfield for Transcontinental Air Transport’s NY-LA route. The last depiction of Wallapai Field was on a 1929 road map (collection of Curtis Carroll), which depicted it as a rectangular property outline labeled simply as “Airport”. According to Curtis Carroll, Wallapai Field was sporadically active until 1929 when it was replaced by Berry Field & Port Kingman. Once Port Kingman & Berry Field were operational, Wallapai was no longer used. 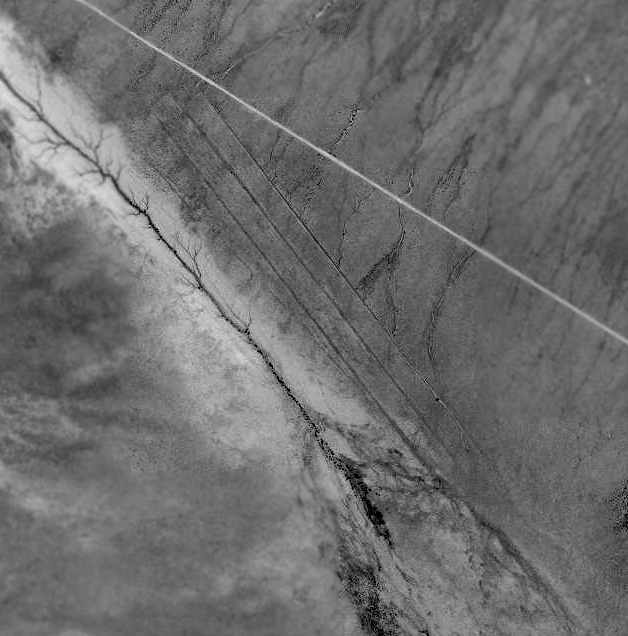 A 1965 aerial view showed no trace remaining of Wallapai Field. A 2015 aerial view showed houses covering the site of Wallapai Field. A January 2017 photo by Rob Chilcoat (courtesy of Curtis Carroll) looking southwest at the approximate east end of the site of Wallapai Field's dirt strip, with the Cerbat Mountains in the background. The site of Wallapai Field is between Jefferson Street & the cemetery, west of Stockton Hill Road. and for additional information from Rob Chilcoat & Cathy Kreis (research librarian at the Mohave Museum). 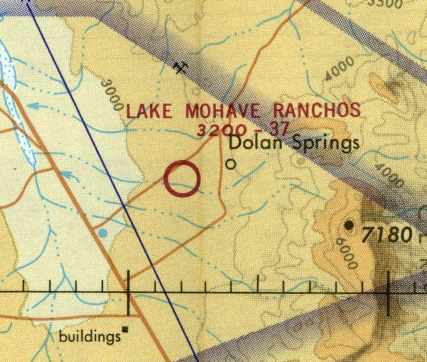 Lake Mohave Ranchos Airport, as depicted on the December 1970 Phoenix Sectional Chart (courtesy of David Brooks). as it was not yet depicted on the June 1970 Phoenix Sectional Chart (according to David Brooks). was on the December 1970 Phoenix Sectional Chart (courtesy of David Brooks). It depicted Lake Mohave Ranchos as a public-use airport, with a 3,700' unpaved runway. The 1970 AOPA Airport Directory (according to David Brooks) described Lake Mohave Ranchos as offering tie-downs & fuel. 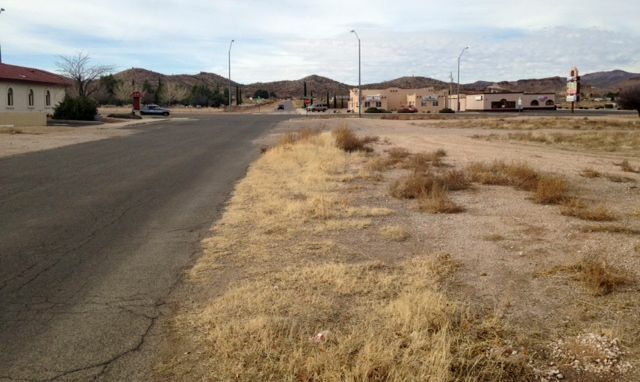 Its purpose was stated to serve the Lake Mead Recreational Area. 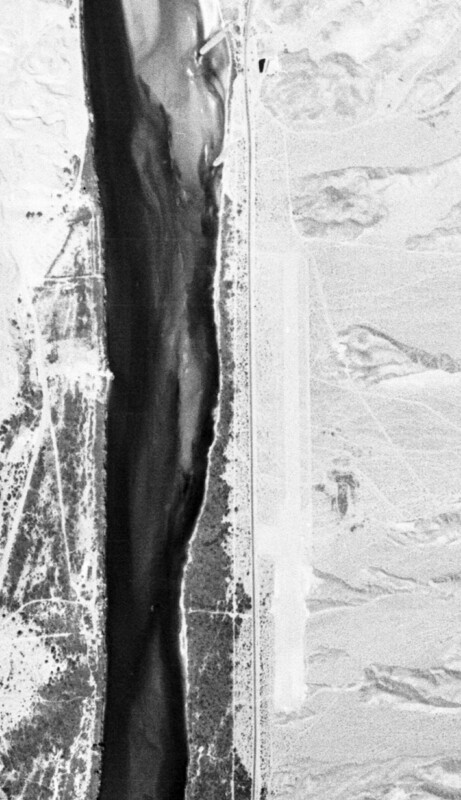 The earliest photo which has been located of the Lake Mojave Rancho Airport was a 11/13/78 USGS aerial photo. It showed the field as having a single northeast/southwest runway, with a ramp on the northeast side. There did not appear to be any sign of any buildings related to the airfield. was on the June 1980 Phoenix Sectional Chart (according to David Brooks). as it was no longer depicted on the December 1980 Phoenix Sectional Chart (according to David Brooks) or the 1980 USGS topo map. Thus, this small general aviation airport apparently only lasted about 9-10 years. 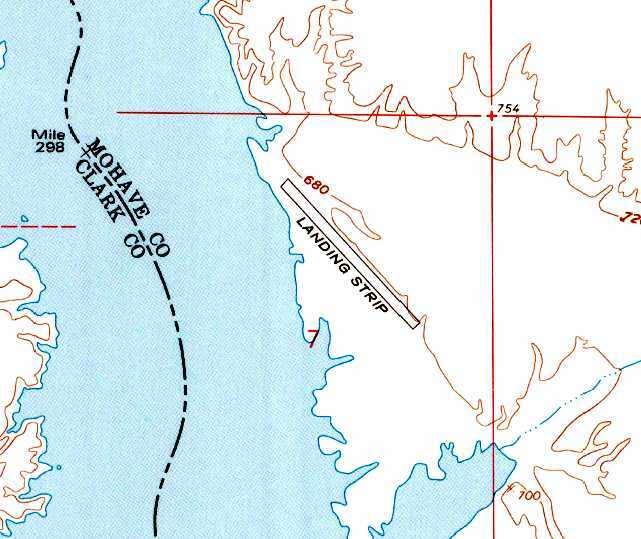 The 1989 USGS topo map still depicted a single unpaved northwest/southeast runway, labeled simply as “Landing Strip”. 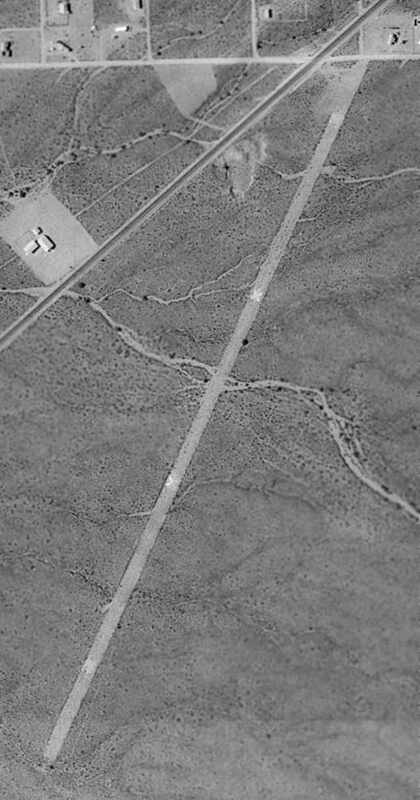 A 1997 USGS aerial view depicted Lake Mojave Rancho Airport as having several closed-runway “X” symbols still recognizable on the former runway. 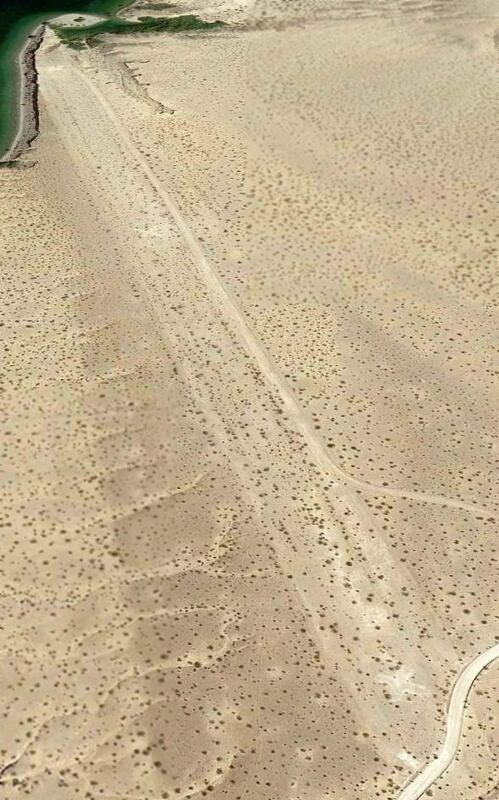 An 11/8/11 aerial view looking south showed the Lake Mojave Rancho runway still remained intact although overgrown. Lake Mohave Ranchos Airport is located south of the intersection of Pierce Ferry Road & Gila Drive. The original Searchlight Ferry Airfield, as March 1955 LA Sectional Chart (courtesy of David Brooks). Photo of the airport while in operation has not been located. This small general aviation airport was located along the eastern shore of Lake Mojave, along the western border of Arizona. as it was not yet depicted at all on the February 1949 LA Sectional Chart (according to Chris Kennedy). was on the 1953 LA Sectional Chart (according to David Brooks). It depicted the field as having a 3,000' unpaved runway. The March 1955 LA Sectional Chart (courtesy of David Brooks) depicted Searchlight Ferry in the same fashion. was on the March 1958 LA Sectional Chart (courtesy of Chris Kennedy). and the Aerodromes table on the chart described the field as having a single 1,200' bare runway. The comment said "Caution: Short field. Fuel avail." Note that the field had evidently lost more than half its length between 1955-58.
nor on the September 1960 LA Sectional Chart (according to Chris Kennedy). By 1963, a new Searchlight Ferry Airfield had been established, a mile further north along the shore of the Lake. was flooded out by rising waters of Lake Mojave. 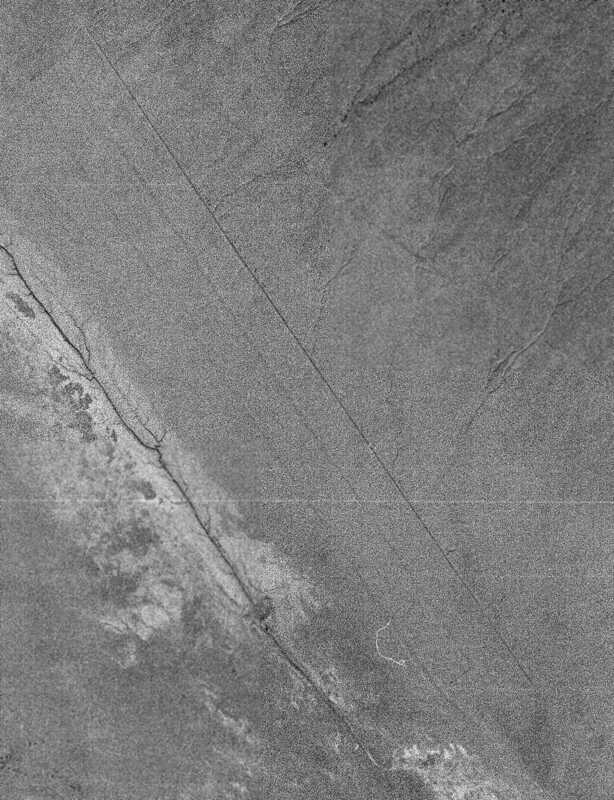 A 1992 USGS aerial photo did not appear to show any trace of the original Searchlight Ferry Airfield. 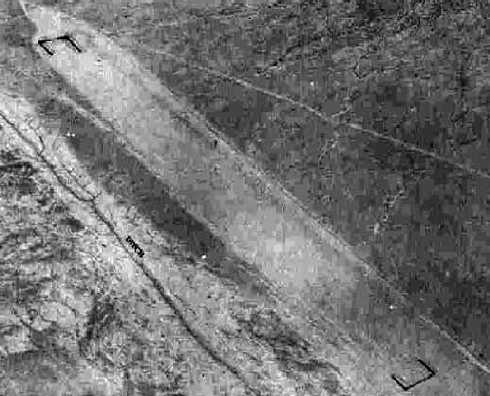 A 2006 aerial photo did not appear to show any trace of the original Searchlight Ferry Airfield. inside the Lake Mead National Recreational Area. 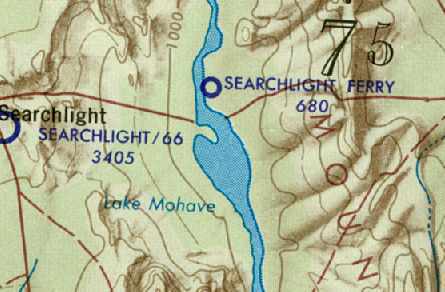 The second location of the Searchlight Ferry Airfield, as depicted on the 1959 USGS topo map. one mile to the north of where the original Searchlight Ferry Airfield had been located. 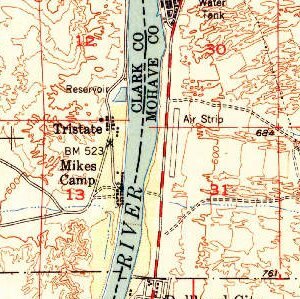 The earliest chart depiction of the second airfield which has been located was on the 1959 USGS topo map. It depicted a single northwest/southeast runway, labeled simply as “Landing Strip”. 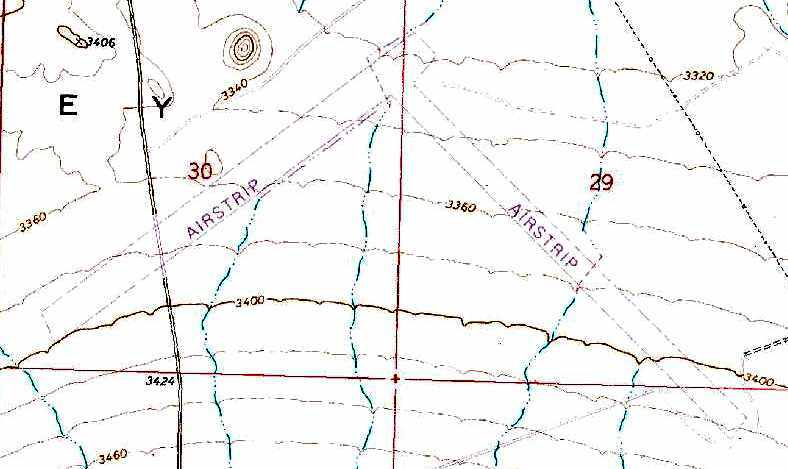 No airfield was depicted in this area on the March 1961 LA Sectional Chart (according to Chris Kennedy). was on the July 1963 Gila River USAF World Aeronautical Chart (courtesy of David Brooks). It depicted Searchlight Ferry as a public-use airport. 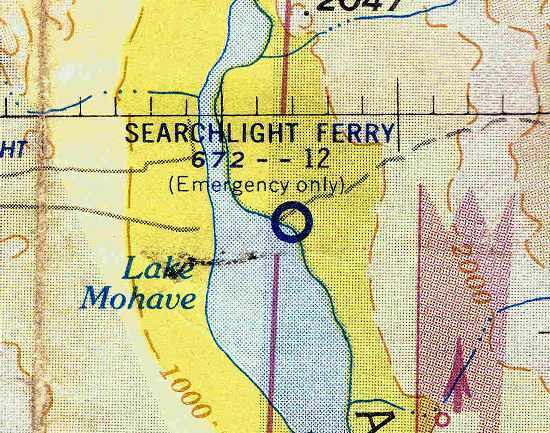 The second location of the Searchlight Ferry Airfield was listed in the 1963 AOPA Airport Directory (according to Chris Kennedy). and the note "Last report 1961." depicted Searchlight Ferry as having a 3,000' unpaved runway. as that is how it was labeled on the March 1967 LA Sectional Chart (courtesy of Chris Kennedy). as having a single 3,000' dirt Runway 18/36. as a November 1967 Flight Guide (according to Chris Kennedy) described the field as having a single 3,000' Runway 13/31. 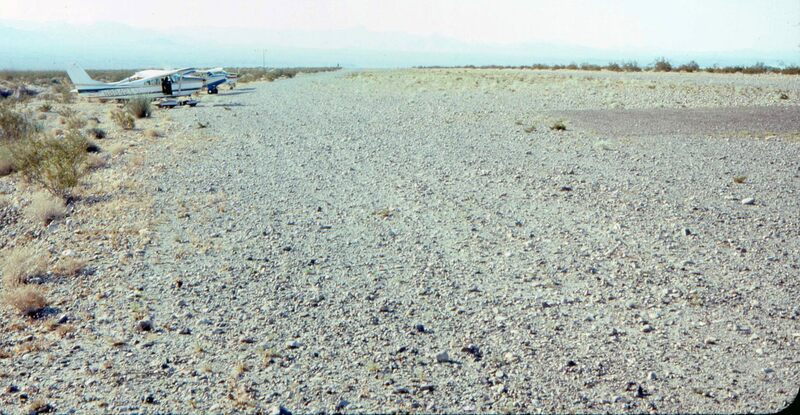 A circa mid-1970s photo by Dave Stevens looking south along the Cottonwood Landing runway, with 3 light single-engine aircraft parked on the east side. A circa mid-1970s photo by Dave Stevens of “Friends departing southbound early morning from Cottonwood Landing” in a Cessna 177 Cardinal. as having a single 2,600' dirt/gravel Runway 13/31. was on the 1987 Phoenix Sectional Chart (courtesy of David Brooks). 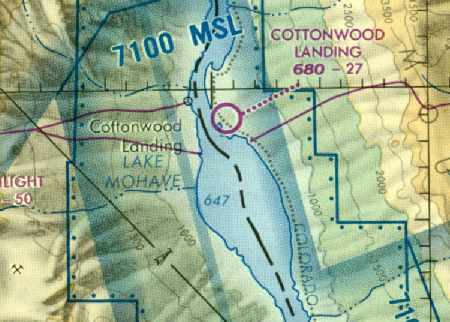 It depicted Cottonwood Landing as having a 2,700' unpaved runway. as it was no longer depicted at all on the July 1989 LA Sectional Chart (according to Chris Kennedy). According to Mike Lerner, “The runway was never paved nor are their any buildings there. I had wonderful camping & fishing there before Park Service closed it. I used the strip in the 1980s before the Park Service told me it had been closed. Even in the 1980s the main strip was overgrown; we landed on the roadway along it's Northern edge which led to a tie-down area by the lake. 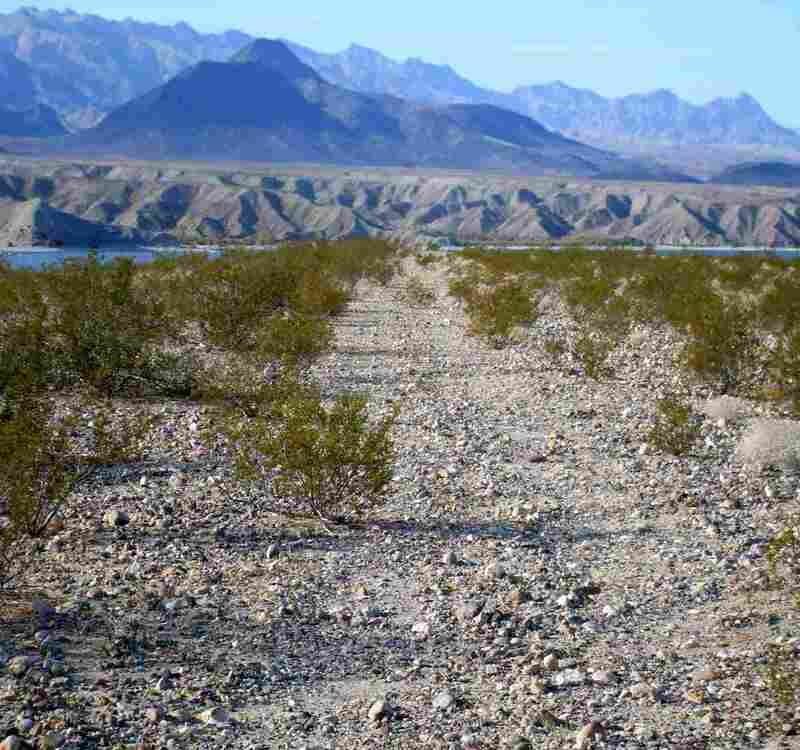 The airstrip was closed by the Park Service when Lake Mead Recreational Area was established. 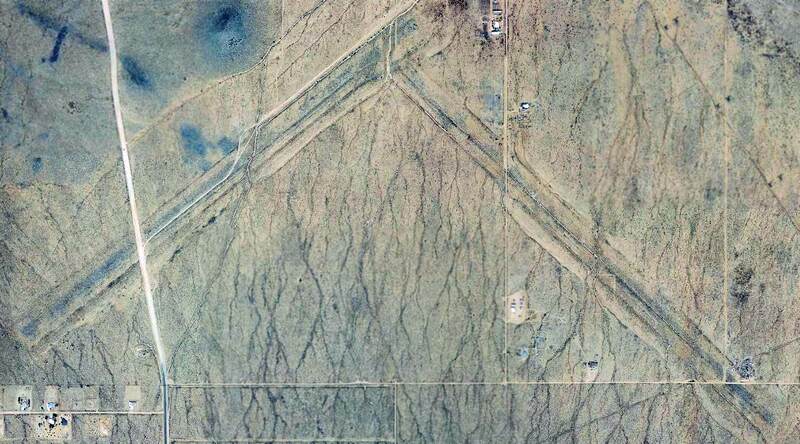 An 8/25/92 USGS aerial view looking northwest clearly showed the runway as being marked with closed "X" symbols. The runway otherwise appeared to be in fine condition. 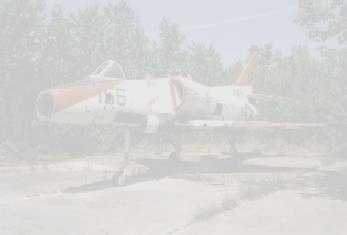 There did not appear to have been any hangars or other buildings directly associated with the airfield. The 2003 Phoenix Sectional Chart (according to David Brooks) depicted an airfield at this location, but simply labeled “U”. As of 2005, the FAA Airport/Facility Directory did not list any active airfield at this location. The 2007 Phoenix Sectional Chart (courtesy of Mike Lerner) continued to depict Cottonwood Landing simply with a “U” (unidentified). A 2008 photo by John Bacon looking north along the site of Cottonwood Landing's former Runway 31. John reported, “Driving to the location was actually pretty easy and could be done in a regular 2-wheel-drive sedan. It was a dirt road but wide & graded most of the way. The runway was barely discernible. It was only 8-10' wide with several boulders averaging between 4-8 inches. You can also see where several creosote bushes have grown in. The Lake Mead park authorities have fenced off the access roads around the perimeter of the field. A sign reads 'Restoration Project.' I soon learned that they were restoring the field to raw land & not restoring the airstrip. 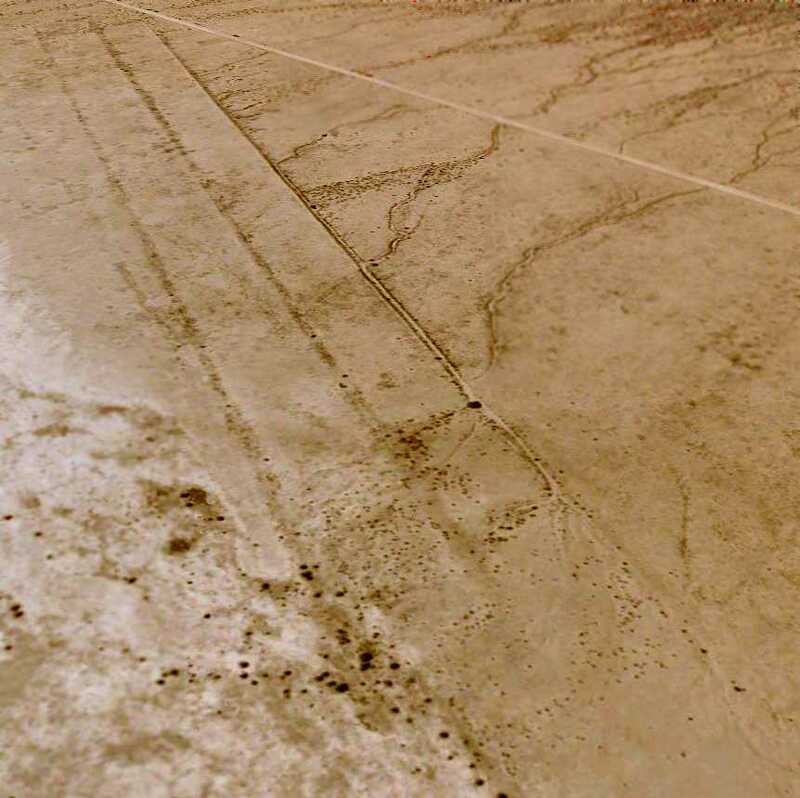 A 2008 photo by John Bacon at “the faint white X designating a closed runway” at the site of Cottonwood Landing Airfield. John reported, “The area surrounding the airstrip was truly quiet, serene, and beautiful. The water [is] just 30-40' from the edge of the runway. 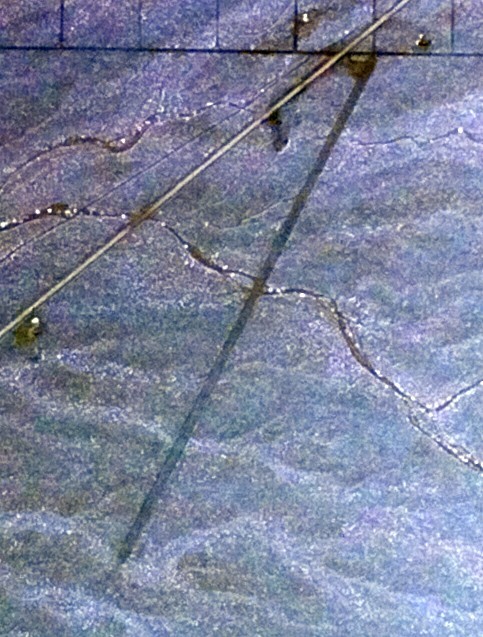 A 6/24/13 aerial view looking northwest showed the runway to remain intact, still marked with closed "X" symbols. Mike Lerner reported in 2014, “Looking at a current Code of Federal Regulations, it is still today listed as a designated landing strip number (4). about this seemingly contradictory situation. which conducted training for the 70,000 Pilot Training Program. 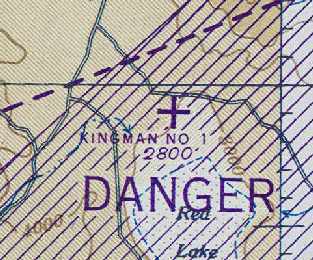 but most of the other Kingman Auxiliary Airfields were established in 1942-43. Cyclopic Field was located in an extremely remote & barren area. was a 6/22/43 aerial view looking north at "Kingman Army Airfield Auxiliary (Cyclopic Field)” from the 1945 AAF Airfield Directory (courtesy of Scott Murdock). The directory described Cyclopic Field as a 40 acre rectangular property having a single graded 6,000' NNW/SSE runway. Cyclopic Field was described as being owned by the U.S. Government, and operated by the Army Air Forces. was on the March 1945 Prescott Sectional Chart (courtesy of Chris Kennedy). 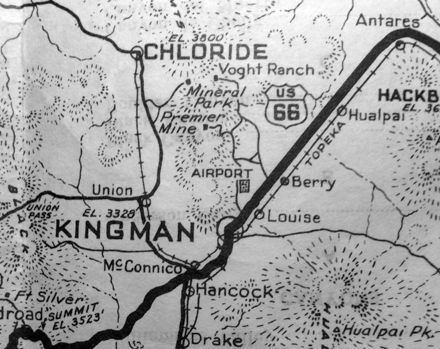 It depicted "Kingman #1" as an auxiliary airfield. 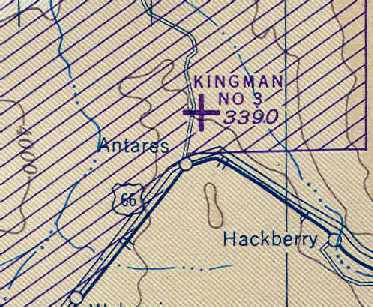 but many of the other Kingman Auxiliary Airfields were classified surplus in 1945. 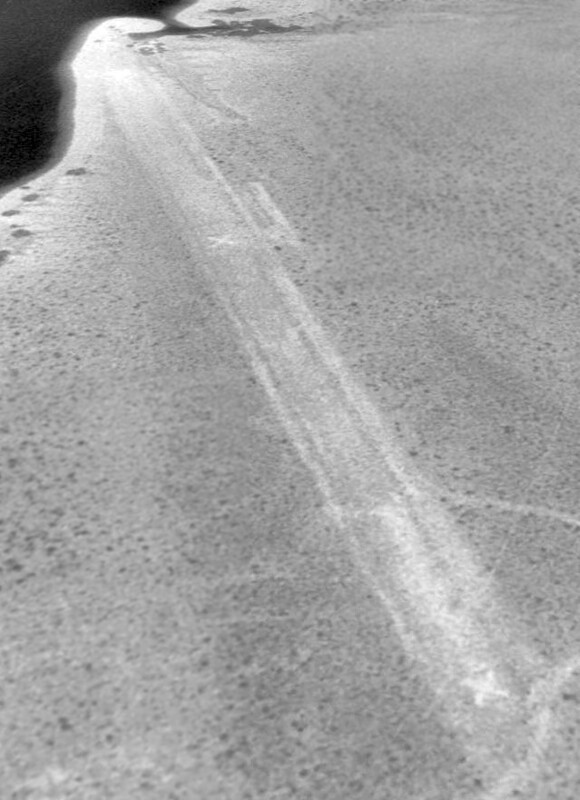 A 4/1/54 USGS aerial photo showed the outline of Cyclopic Field's 6,000' runway to remain distinct. It is unlikely that the Cyclopic Airfield was ever reused for civilian aviation, due to its extremely remote location. and nothing at all was depicted at this location on USGS topo maps from 1968, 1969, 1980, or 1991. 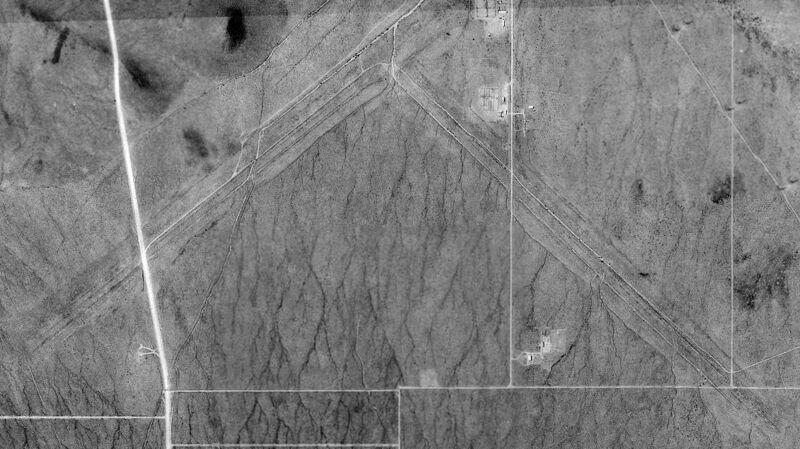 The 1997 USGS aerial photo showed the outline of Cyclopic Field's 6,000' runway to remain very intact. A 6/8/07 aerial view looking northwest along the remains of the Cyclopic Aux AAF #1 runway, remaining remarkably intact after 64 years. The site of Cyclopic Aux AAF #1 is located 2 miles southeast of the intersection of Routes 25 & 149. Thanks to Chris Kennedy for locating this airfield. The War Department acquired the property by transfer & lease in 1943. Two 6,000' earthen airstrips were constructed on the property, in addition to 3 sheds, a tower, and a latrine. as an emergency landing field & as a target dropping ground. was a 6/22/43 aerial view looking north at "Kingman Army Airfield Auxiliary (Hackberry Field)” from the 1945 AAF Airfield Directory (courtesy of Scott Murdock). 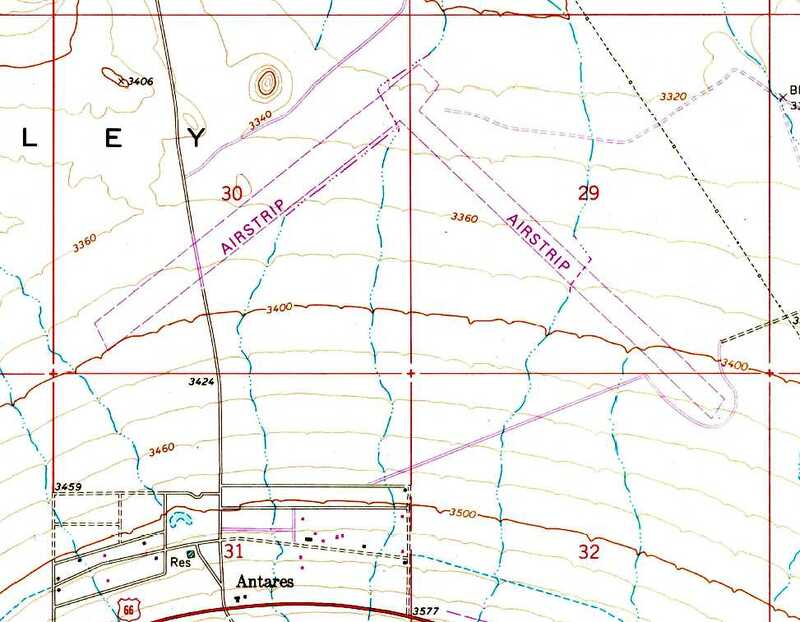 The directory described Hackberry Field as an irregularly-shaped property having 2 bituminous 6,000' runways, oriented northeast/southeast & northwest/southeast. Hackberry Field was described as being owned by the U.S. Government, and operated by the Army Air Forces. It depicted "Kingman #3" as an auxiliary airfield. Hackberry Field was classified surplus in 1945.
described Kingman Aux AAF #3's longest runway as 6,500'. At some point between 1947-49, Hackberry was apparently reused as a civil airport. and was described as having a 6,000' hard-surface runway. It was depicted as "Hackberry" Airport on the 1956 Prescott Sectional Chart (courtesy of John Voss). The field was described as having 2 runways, with the longest being a 6,000' paved runway. described Hackberry Airport as having two 6,000' hard-surface runways: Runway 4/22 & Runway 13/31. The remarks said, "Caution: Abandoned military strip reported usable but not maintained. Cattle sometimes on field. Caution required." 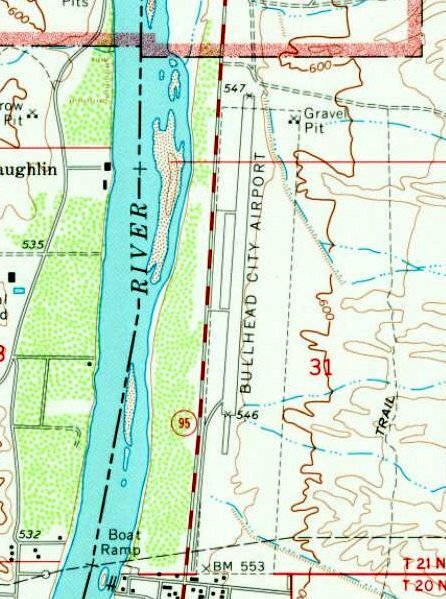 as the 2 runways were still depicted on the 1968 USGS topo map, but it was labeled simply as "Airstrip". 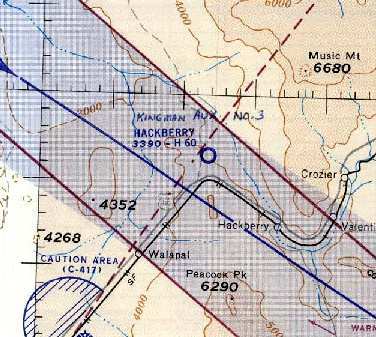 The 2 Hackberry runways were still depicted on the 1980 USGS topo map, labeled simply as "Airstrip". 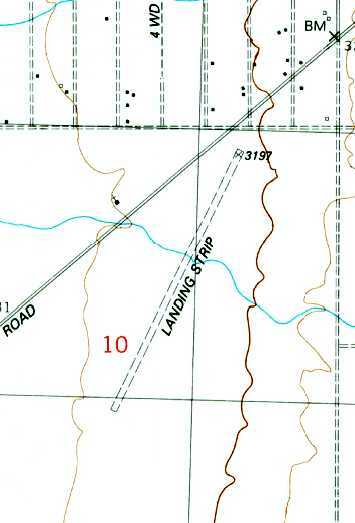 Hackberry Field was labeled simply as "Landing Field" on the 1991 USGS topo map. 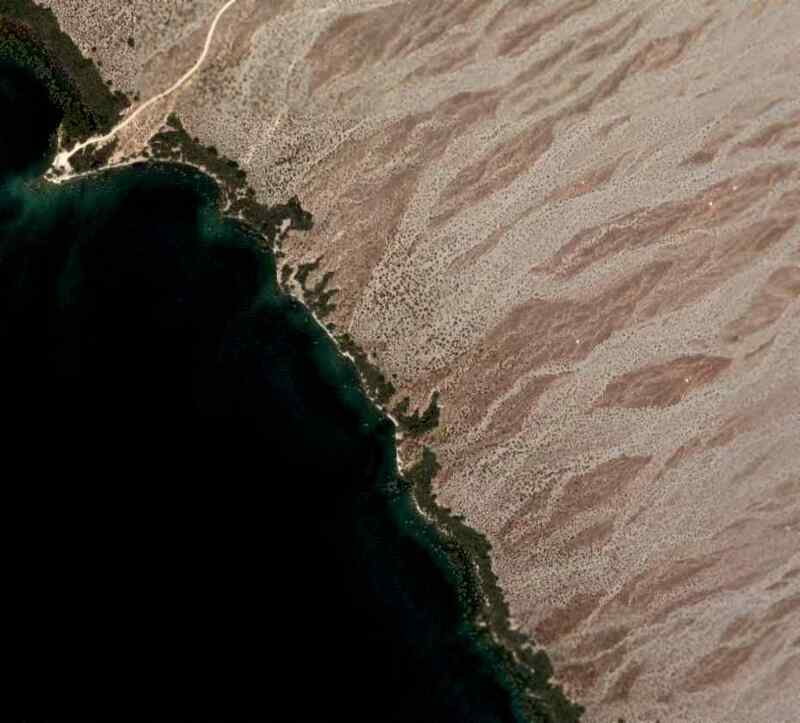 The 2 Hackberry runways were still recognizable on a 1993 USGS aerial view. as of that date the Hackberry airfield property was partly private land, and part-owned by the Department of Interior. which were barely discernible through the vegetative overgrowth. Several unpaved roads crossed over the runway remains. The airfield was not depicted at all (even as an abandoned airfield) on 2000 aeronautical charts. 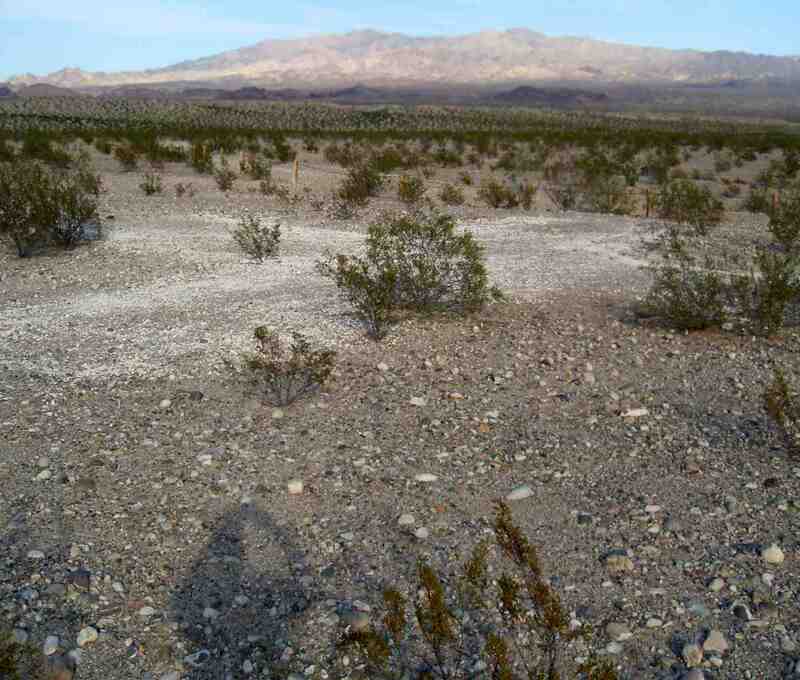 Chris Kennedy visited the site of Kingman #3 in September 2004.
that appeared to be at a slightly higher grade than the surrounding dirt. just like the surrounding area." and some high tension power lines crossing the site. We didn’t get any closer than about half a mile to the area, but didn’t see the signature of anything airfield-related." An October 2005 photo by Keith Wood, looking southeast from the road that crosses the former northwest/southeast runway at Hackberry AAF. 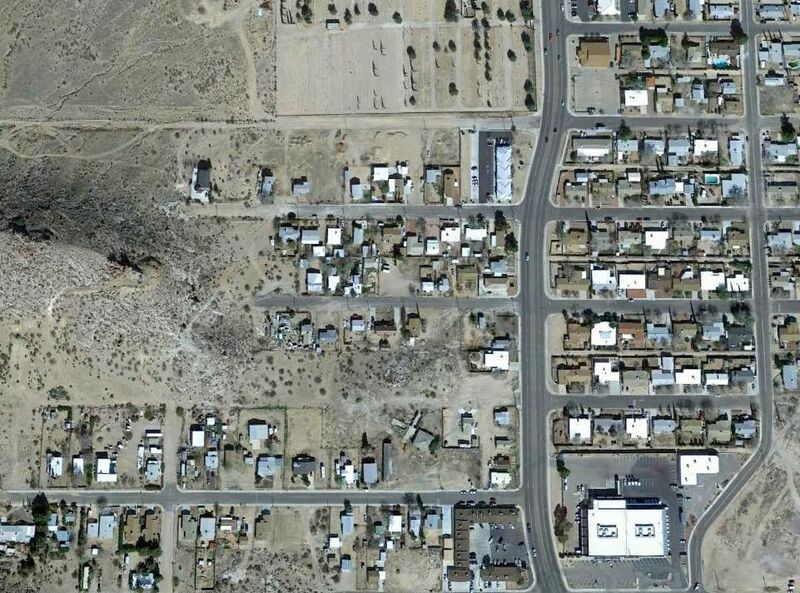 Keith reported, “The overhead [photo] is still pretty accurate. There is a new barn/garage being built in the home site just south of where I shot the pictures, but otherwise there was no change. The 2 Hackberry runways were still recognizable on a 2018 aerial view. The Hackberry airfield is located just northeast of the tiny town of Antares.